On 18 November 2018 two pilots, Mike Lomberg and Guillaume Feral under the banner of Handiflight took off from Geneva on a 9 months 80,000 km global adventure of which more than half would be flown solo in two Flight Design CTLS aircraft that was set to take them to 6 continents, 40 countries, to meet, share, inspire, promote by example and to change perceptions of disability. 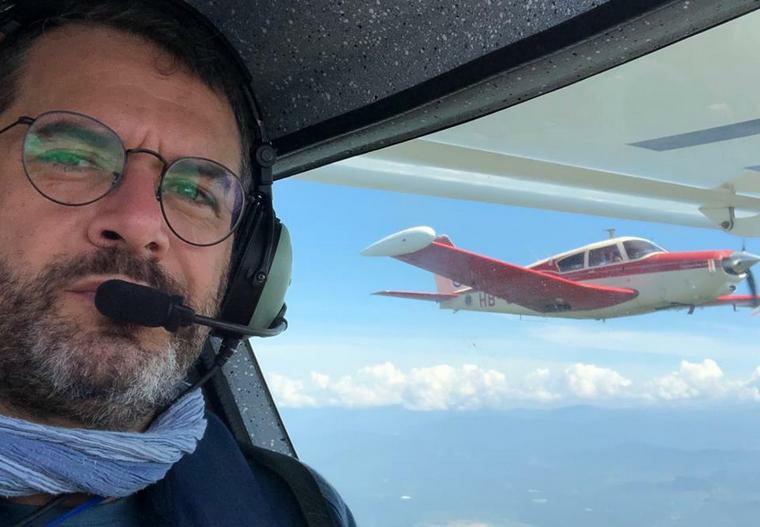 On 25 January 2019 Paolo Pocobelli flying the Flight Design CTLS HB-WYB left Bang Phra and flew south, with a stopover at Hat Yai before arriving in Singapore - where the maintenance of the aircraft had been planned for a long time. Paolo was born in Italy almost 48 years ago. He fell in love with aviation in his early childhood. During the years at high school he gained his first wings, becoming a Private Pilot in 1991. In 1993 he started to jump as a skydiver and a skydiving video man at the weekends. It was during a sunny June Sunday in 1994 that he had a skydiving accident. He broke two vertebrae and a femur. The spinal cord injury made Paolo a paraplegic. He was still in a German hospital following his rehabilitation process when a friend brought him an Italian magazine with an article about a group of Italian paraplegic sport pilots who had started to fly ultralights. He left the German hospital in January 1995 and on February the 10th of the same year he was in a sport plane, soaring again. With the help of a sponsor he managed to buy an ultralight and started flying the Italian air shows with a basic show to promote flight for disabled people. Paolo worked at an Italian bank but he hated it. He wanted to fly professionally but he couldn't afford it and so in 2001 he left the bank and Italy and moved to Egypt where he worked as an underwater videographer. In 2005 he left Sharm el Sheikh and moved to Southern California where a British-owned flying school was offering flying courses for paraplegics. He started training in San Diego and earned his FAA Private Pilot License, Instrument Rating, Multi-Engine Rating and Commercial Pilot License. After this he decided to become a professional instructor and completed his Certified Flight Instructor and Instrument Instructor ratings in 2006. He worked in the USA until summer 2009 and built a few thousand hours teaching Student Pilots from the beginning to Airline Transport Pilot License. In 2012 he back to Italy and Verona where he is currently working as Chief Flight Instructor. In the 24 years since his accident Paolo was inspired by people he met on the way. He was inspired by Claude and Guillaume, by the people he met in Egypt and the way they managed to overcome difficulties, despite their lack of resources. He was inspired by Mike Smith, an American pilot and real pioneer of Aviation for the disabled as well as the satisfaction of his students. "Inspiration", Paolo says, "is the best gift a person can receive. It is often Inspiration that gives hope to people. Hope to be able to change their life or achieve something considered impossible. This was the main reason for me to accept with great enthusiasm the proposal made by Daniel Ramseier to become a member of the Handiflight RTW project and bring a message of hope and inclusion. A message not only to people whose life was badly challenged, but also an inspiration to Governments and Organizations who could be Inspired by Handiflight RTW and start to change their attitude towards people with disabilities." In Singapore they received with open arms by members of the local Lions Club. They also received professional and generous service from Wings Over Asia (). After feparting from Singapore they flew to Jakarta, where we again they were welcomed by the local Lions Club. 26 January: Thanks to a strong tailwind the flight from Jakarta to Lombok over breath taking landscapes took just under 6 hours. 30 January: Landing at Kupang they were again met by the Local Lions Club. The flight generally was uneventful except for stretches of unfriendly weather. 31 January: They have finally arrived in Australia after a 6:30 flight from Kupang to Broome. 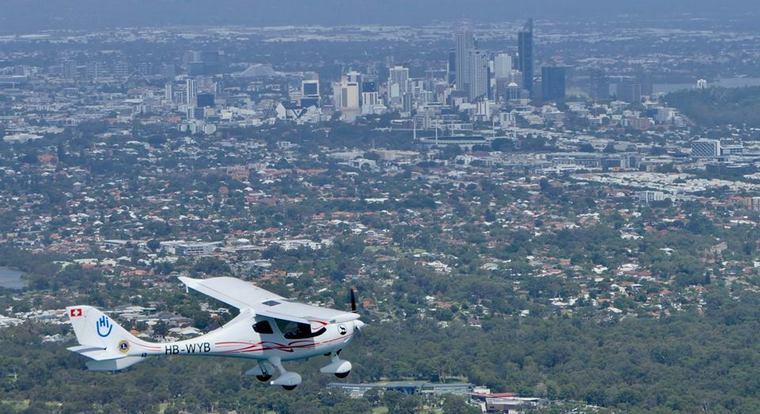 3 Feb: Getting as far as Perth was one of the principle goals of the Handiflight Project. Reaching Australia would not have been possible if Paolo had not taken over the baton over from Mike and Guillaume in extremely difficult circumstances. The organisers will shortly decide on what our next steps will be. We sincerely hope that they would find a way to complete their original goal of circumnavigating the globe.